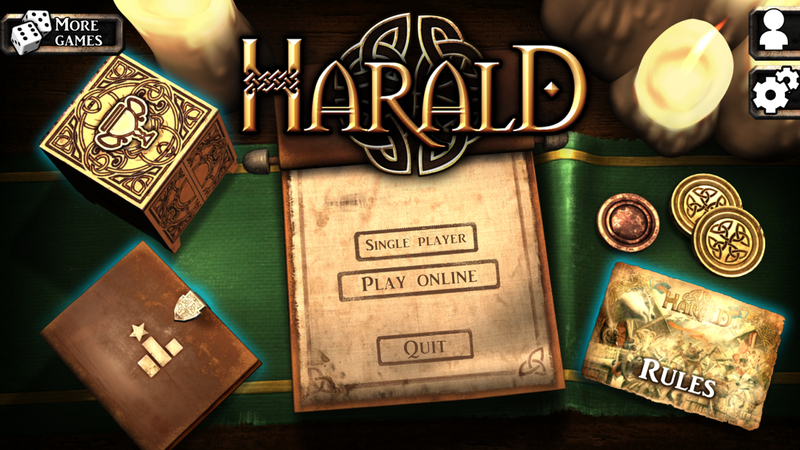 Harald is a card game of influence and majority. As the head of a village, each player will try to charm the most influential character of the realm to be noticed by the King and win his favor. But to win you will need to think and wisely use the abilities of each character. LEARN HOW TO USE THE CHARACTERS AND THEIR POWERS! There are six different characters, each with a different function and power. 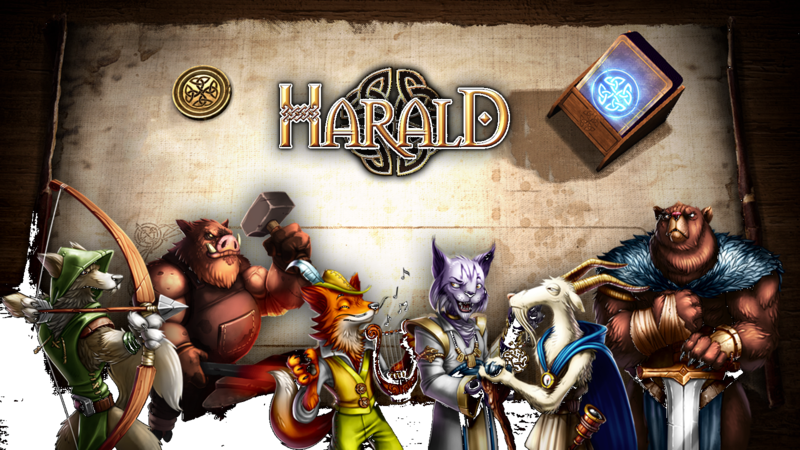 Discover the Wolf/scout, the Lynx/merchant, the Fox/bard, the Bear/warrior, the Goat/seafarer; the Boar/blacksmith. Discover each character's ability and use them in order to overtake your opponents! 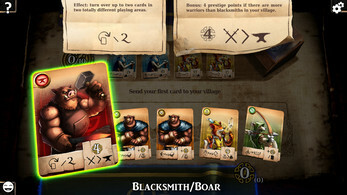 Each animal will give you the ability to make a move at the end of your turn: you can steal cards from your adversary, try to exchange his or your cards with the council in order to play in your favor, return cards to erase their points or just place a good card on the top of the pile! Whatever you choose, decide wisely how to make the most of every move! The goal is simple: get the maximum number of points! In order to win, you need to pay attention to the cards' associations and put together the ones that work best. 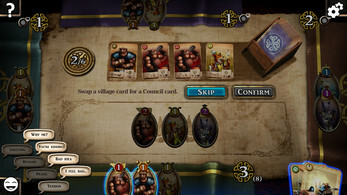 At the end of the game, each card in the village of a player counts as many points as the number of times the same card appears in the King’s council. 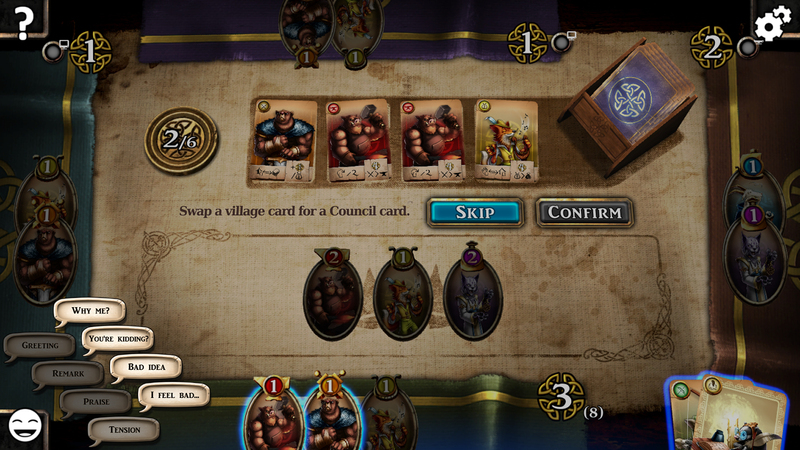 Play smartly in both your village and the council and don't forget to keep an eye on your opponents' villages in order to win. 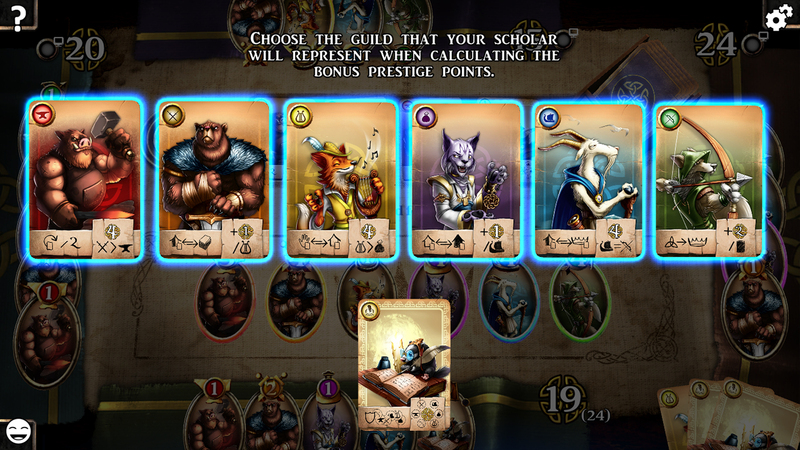 EXPERIENCE MORE STRATEGY WITH THE BADGER/SCHOLAR! Discover an exclusive card, which introduces a new character, the Badger/Scholar. 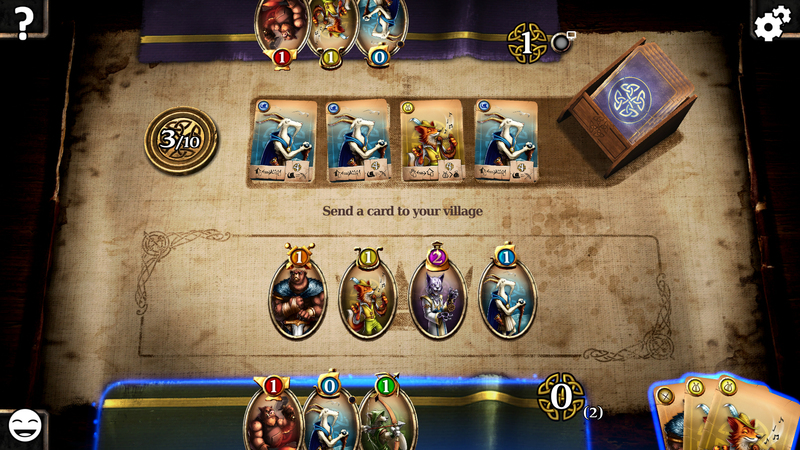 This card offers you the possibility of protecting a series of characters in your own village. It makes the game harder for your opponents because if they want to destroy those cards, they will have to attack the Badger/Scholar first if he is present! Languages available: English, French, German, Italian, Spanish"